We, at School of PE, have one goal: to help our students pass their NCEES exam. When you attend an FE, PE, SE, or Surveying exam review course with School of PE, you will receive many features and tools that will help you prepare for your exam. 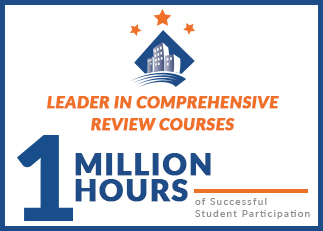 Our courses review the necessary topics and concepts for your chosen exam, but we’re certain you will have occasional questions after class while reviewing the material. To help clear some of those questions, we offer the Questions to Instructor feature for no additional cost. We also encourage you to interact with classmates using our Discussion Forum to clarify your questions. Almost all students who attend our classes are experienced in practicing engineering, so this no-cost feature provides a reliable place to request help or provide help to classmates. Our past students requested this feature and we are pleased to provide it. You can access this feature through your student portal after the start of class (Ondemand provides immediate access). While other organizations solely provide a review course, School of PE strives itself in offering the necessary additional resources students need to be successful.